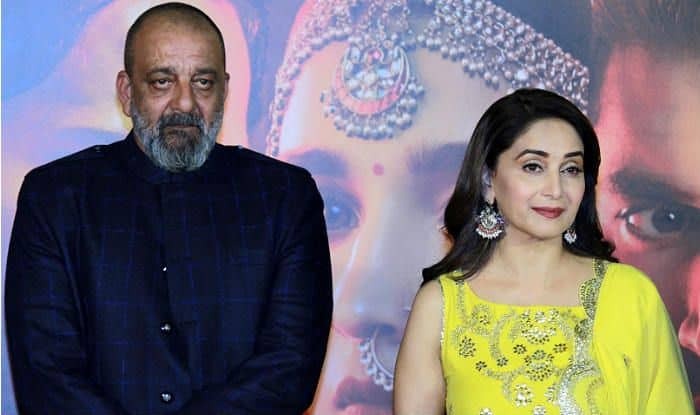 Actor Sanjay Dutt is reuniting with Madhuri Dixit after a hiatus of 25 years. While their characters in Abhishek Varman‘s Kalank may or may not be in a romantic angle, the two can be seen together in various scenes and that’s enough to get their fans excited about the film. Sanjay Dutt and Madhuri Dixit reportedly share a troubled past. The rumours have always been rife in the industry that the two dated each other for a while before Dutt went on to serve his jail term. Both the actors, who are now above 50-year-old, seem to have put all that behind though. The actor’s character in the film has been described as the patriarch, Balraj Chaudhary, who keeps rules and values above everything else. Sanjay Dutt said that he found an emotional connect with his character because even his father, Sunil Dutt, came from Pakistan during partition and his real name was Balraj Dutt. Apart from Madhuri and Sanjay, Kalank also features Alia Bhatt, Varun Dhawan, Sonakshi Sinha and Aditya Roy Kapur in the important roles. The film is slated to hit the screens on April 17.